Designed with style, efficiency and ease of use, the Dik Geurts Odin if meticulously crafted. Its distinctive circular design not only makes it a real eye-catcher, but its shape generates fabulous flame patterns. Flames which are easy to control with just one unique air slider, exclusive to Dik Geurts. 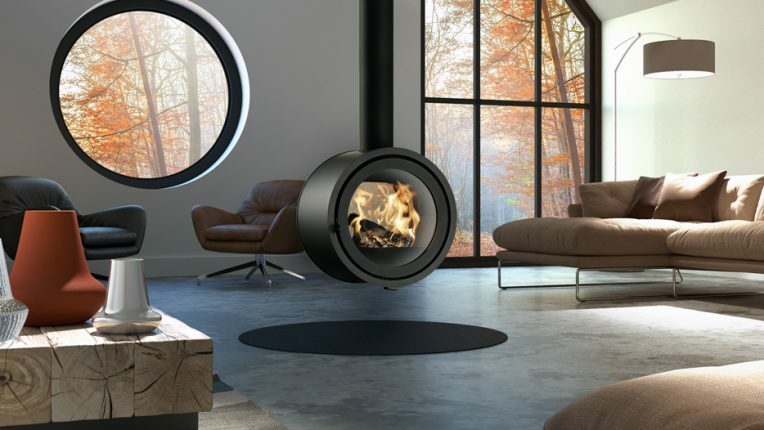 The Dik Geurts Odin can be installed as a free-standing stove, on its base or the specially designed plateau shelf, or as a fixed stove hanging and supported by its flue.